Manchester Show 2010 - Exclusive show deals preview | What Hi-Fi? 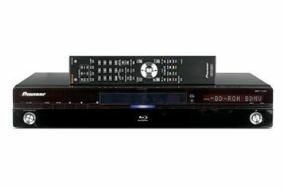 Pioneer BDP-LX52 Blu-ray player plus Pioneer VSX-920 home cinema receiver - £599.95 - save £450! Free Blu-ray players or 3D accessory packs on selected Samsung TVs, plus up to £200 cash back on 16 LED models. Save up to £350 on selected Panasonic TVs, plus free or half price Blu-ray players with many others. Save £229 on a Sonos BU250 bundle/Castle speakers package. Up to £300 off Castle Knight loudspeakers. We'll bring you full details of all the show deals from Friday night - see you at the show from Saturday morning!